Single Pole/3-Way Switches can be wired as a single pole or 3-way switch. Dual mechanical shutter system helps prevent insertion of foreign objects. 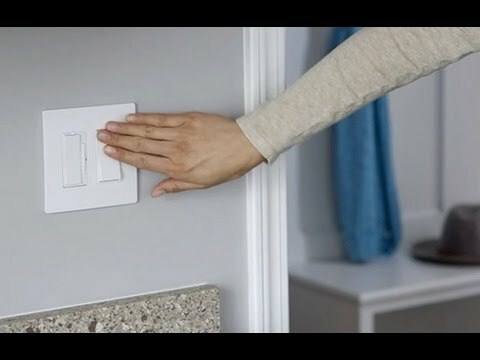 Planning to plug undercabinet lights to the receptacle outlet, switched from the switch. Hence the switch needs to operate the receptacle. Do you have a diagram for that? The wiring diagram is attached for the Radiant RCD38TRW so the switch controls the power to the receptacle. The instructions enclosed with the RCD38TRW switch contain wiring diagrams which would answer your question. If you need an additional copy of the instructions you can download a new set from our website by entering the RCD38TRW number in the search window and then by clicking on the resources drop down or you could call 1-800-223-4162 opt 3 for assistance. To properly wire the RCD38TR as a 3way switch(with outlet), you need at least 4 wires(not counting Ground wire)...see attached wiring diagram. 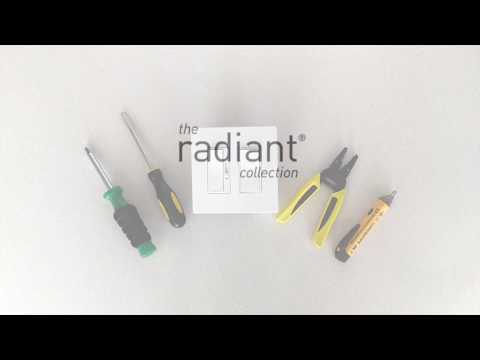 The attached shows the single pole and 3way wiring diagrams for the Radiant Combination device, RCD38TR. How do you remove the split circuit tab? The switch doesn&rsquo;t seem to match the picture shown in the instructions. On the lower right of the device between the two black screws there is a small tab that you can pull out with a small pliers. This is a way to make this work as long as the switch with the outlet is going on the hot end of the circuit where the hot/common is coming from the box. I have attached a diagram to illustrate how this would work. Basically the hot wire would attach to the hot terminal on the first switch where the 14/3 is running FROM. The red and black wires in the 14/3 would serve as travelers to the dead end three way switch that the 14/3 is running TO. Then the white wire could be marked with black tape and be used to run from the load on the dead end switch to load wire up to the light in the first box. These wires would pig tail together.